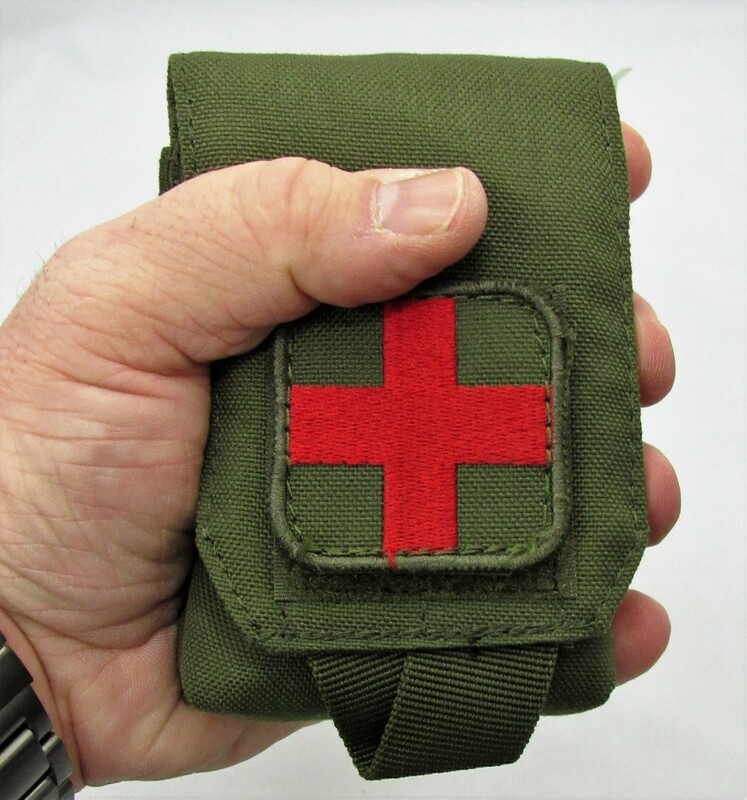 The OSS Duty Belt Trauma Kit is the smallest, thinnest and lightest "COMPLETE" Belt Med Kit in the industry. This innovative new kit has the critical medical items needed to treat any penetrating trauma injuries such as arteial wound gunshot injuries. The capabilities of the kit are enhanced with the use of Hemostatic Gauze and a seperate SWAT T tourniquet. The kit also has a 3" Compressed Emergency Bandage (sterile) for compression or additional packing material. The kit is 3x5 and deploys by a rubberized grip tab at the bottom of the main velcro flap that keeps the components secure in all environments and any foot pursuits. The kit is a versatile mount and can be mounted directly on the standard duty belt or on any MOLLE platform, plate carrier, entry vest or go bag. OSS created this kit to have the smallest footprint in the industry and be lightweight and plyable so not to wear on the officer or agent when on patrol or assigned to an operation. The readiy identifyable medic cross can be replaced with the standared MED symbol comonly used among our military units. This kit will allow the uniformed patrol officer to have a trauma kit on their duty belt and not locked away in a patrol vehicle.